If you are looking for home business without investment ideas then this article from Mark Ford will give you four ways to start an online business without having to spend any money. 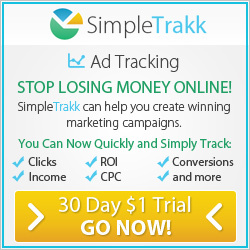 Also learn how you can start your own affiliate marketing business for free. On a tight budget?… Yes… then read on to discover four home business without investment ideas that will help you get started! It is a total myth that you need to have lots of money to start a home business. Mark Ford has done it three times over, building an entertainment agency, property investment and now an online business from scratch. You can become financially independent even if you have little to no funds to invest from the start. The only caveat to that is that you will need to work hard and realise that it will take some time. Oh yes, and that it is not actually free because you will invest a lot more time and take a longer road to success, whatever that is for you. But… hey you are building a sustainable home business for the long term, aren’t you? One thing that you have to accept though is that there may be some small financial outlay to get going such as domain names and hosting. However, these expenses are minimal in the grand scheme of things. Even if some businesses require a larger financial investment there are ways to get going without having to personally dip your hand in your own pocket. In this post I am going to share with you four ways to start a home business without investment before finally giving you the chance to start a home business model for free with a 30 day free trial. You may think that to have an online e-commerce business you have to have your own website or use a service such as Shopify which will incur charges. Well the good news is that there are platforms such as Amazon & Ebay where you can open an account for free and then list items to sell on the established platforms. The great thing about this is these platforms already have an established audience of millions of customers that you can leverage. One thing to remember is that you will have to pay selling fees and a minimal listing fee but they are great places to start you online e-commerce business. Many people look to crowdfunding their business through platforms such as GoFundMe & KickStarter. Here you start a project or campaign and write a description or create a promotional video and then share your page. Then sit back and wait for the reaction to your idea. By doing this you can validate your ideas to see if there is a demand for them to make sure that you are not wasting your time. Dropshipping is a business model where you sell a product before you purchase the inventory. Yes you heard that right, you receive money before you have to spend it. The trick here is to find in demand products and then find suppliers that can dropship the product directly to your customer. When someone pays you the retail price it goes into your PayPal or bank account. You then go to your supplier and pay the wholesale price and pocket the difference which is your profit. There are many dropshipping companies but the most popular one is AliExpress which is based in China. They will ship products directly to your customer without any of their company branding but the only downside is that delivery times can be around 4 weeks which may put people off. There are many free marketing methods you can use to advertise your business if you don’t have a marketing budget. One of the most popular one’s is blogging and one I have used to great effect. The only outlay you will have is to buy a domain name and get website hosting which combined will not cost you that much. Many hosting plans are available. Click the banner below to check some of them out. Once you have your blog set up you can use it to reach out to your audience, provide valuable content into your niche, and build a blog following. Additionally, you can share with your followers your story, and your products and services. This could be using your blog to promote other people’s products and services which is called affiliate marketing. Here you would write posts that solve problems with the solution being the affiliate product. 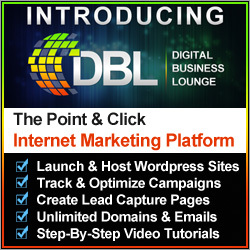 For more information about how to set up a home blogging business click here. Also another great free marketing method is social media. You can set up business profiles on the main social media platforms for nothing and post content related to your business. Concentrate on producing high quality and engaging content that people are likely to share as this creates a viral marketing effect. Basically it is free marketing for you. Free Marketing Note: I invite you to check back with me and this blog throughout 2018 and beyond. I will be providing a lot more articles on ways that you can start a home business for free and covering also no cost and low cost ways of driving traffic to your website. A search of free marketing in the search box on this website will link you to current examples of this. The Six Figure Mentors are an organization that specialize in helping people start a profitable online business from scratch through their training and mentoring programs. They also have a digital business system that you can leverage to promote their products and services as an affiliate marketer. To find out more information about this opportunity then click the banner below. 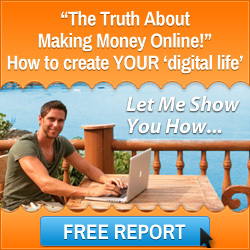 I have shown you four home business without investment ideas and given you access to an online business model for free. 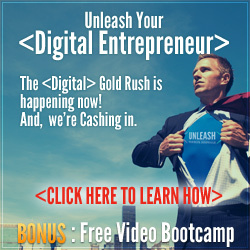 It is time for you to now take action and start your own online entrepreneurial journey. I wish you every success. This entry was posted in Home Based Business and tagged home business without investment, mark ford, start home business. Bookmark the permalink.